The young mans smile held strong as he felt the other boy take his hand, shaking it firmly. He had been thankful that the gentleman whom he could now put a name to had appreciated his compliment on the stall. He'd heard all these profoundly negative traits that had been associated with Slytherin's since he had arrived, yet everyone of them he had come across sported none of them. Rumours perhaps? Inherited negativety from those whom came before? All of which sounded like the battle which Graydon had tackled everyday at Durmstrang. Assumptions based on his family name and the adopted stigma that came with it. He gave Alistair a nod when he had remarked of not having seen him around. Having only just arrived in the country, let alone unpacked his bags not a few hours ago, Graydon admitted, "I've only just got into town. Transferred from Durmstrang to finish off my education here. Somewhere a little more inviting I guess." he shrugged his shoulders, hopeful that he wouldn't have to elaborate too much on it all. His father had been clear before he had left for Hogwarts that any talk of their family or the Scitorari would put them in hot water. And that had been something his family, his father nor the M.O.B organisations could afford. So, alas, whilst he hoped for the best on no further probing into his home life and his past, the Hufflepuff conjured up the best white lie he could it it came to it; holding it in the back of his mind. Though before much more could be shared between Alistair and Graydon, another voice caught his attention. He felt himself whip around to the source, almost offering a look of genuine appreciation for pulling him out of what might have turned into a deeper conversation which would have left him lying to his new acquaintance something which he'd preferred not to do. The question which had been asked however had Graydon blinking blankly. He hadn't the foggiest idea what years could sign up. And so he had shrugged his shoulders and offered an apologetic half-smile. "Your guess is as good as mine, dude!" he remarked with a slight chuckle, signalling back toward Alistair with a crane of his head. "Alistair can help you out though! He's the boss-man from what I've gathered." he smiled between the boys, hoping that - whilst he mightn't have been able to give the boy the answer he desired - that he had at least been able to point him towards the source that could. Samantha listens carefully to what the girl at the 'Hogwarts Monthly' table had to say. Samantha understood that there was going to be a lot of writing involved and that she needed to put in a lot of effort. She nods once more, she says a small thank you to the girl at the table and signs her name for 'Hogwarts Monthly' She was excited for this. Aisa looked the older boy in the eye but didn't return his smile, simply listening seriously. "I see." She said when he was done talking, nodding to show she understood. "I do have an interest in photography, so I will fill in this form and give you two pictures later." She should figure out a way to get two pictures, as she didn't take any with her from home, but figured she could do it. She took the form from him. "Thank you." She said, her tone business like. Another girl expressed interest and Aisa moved out of the way to give her some room. Sully waved his hand dismissively when Daintree apologized. He'd just have to make sure to make more of an impression next time so he'd remember. "It's cool man, and I guess the house stuff doesn't matter unless you have to walk up like a million stairs like, aye? Not looking forward to doing that every day," Sully groaned. He liked his house well enough so far, minus that small detail. At least he'd have amazing calves by the end of his school year. He perked up when Daintree mentioned a rugby game. "Yeah, that'd be mean! I've got a rugby ball upstairs, it shouldn't be too hard to get some guys together," He said, already beginning to move to run upstairs, excited at the idea. "Nah, I think the other clubs look pretty boring, aye. Unless you are?" Sully slowed his exit a bit, he didn't want to insult any of Daintree's other potential clubs, though he couldn't imagine why anyone would want to join the plant club or school paper or whatever else. Cressida listened to the older boy answering her question, admittedly they was a little disappointed that the wild patch were not growing more magical things but while flowers were pretty they did certainly prefer to have to do something more complex. Some vegetables were rather touchy so Cressida nodded in answer if they wanted to sign up before asking, "Why don't you grow any magical plants?" The Hufflepuff wondered if maybe they weren't allowed or if they had to be watched more closely by the Herbology professor to do so. When another girl approached her booth, October smiled warmly. "Of course you can!" She said happily, handing her a sign up sheet. "Just sign your name, and you're in. Feel free to take a cupcake and a card too." She said warmly. When the girl who had asked about the group introduced herself, October smiled brightly. "Wonderful! I'm October Alcott." She smiled, shaking the girl's hand. "Just add your name to one of our sign up sheets, and help yourself to a cupcake and a card." She smiled, handing Adorah another cupcake. It wasn't long before yet another two girls had joined them, and October smiled at her warmly, starting to feel a bit silly, saying the same thing over and over. "Absolutely, you're welcome to join us." She smiled. "Just sign your name on one of the sign up forms, and take a cupcake and a card." She smiled a little more sincerely when one of them complimented her calligraphy. "It is, I made these myself. Thank you very much!" Amy wrote her name down on the sign up sheet, and said,"The cupcakes look amazing!" She handed the sheet back and took a cupcake and a card. She couldn't believe that the older girl had made the cards herself. "The cards must've have taken along time, they look perfect." Amy smiled and thanked the older girl. One club would probably keep her busy for her first year. She didn't want to fill up her study time, so she went back to her dormitory. Kauri was pleased with the volume of boys who had signed up this year, he could tell they were going to have a fun year, and he watched happily as they signed their names, wondering what kind of activities they should be planning for the year. He only hoped Tristan wouldn't have more... suggestions. Tristan seemed checked out of the whole process though, and Kauri almost wondered why he had even showed up today if he didn't want to help. He didn't have to linger on Tristan's distance for long though, smiling as another boy approached the table. "Well, you've come to the right place!" He said cheerfully, handing him a sign up sheet. "Help yourself to lollies too, we've got plenty!" Despite her resolution to experience everything Hogwarts had to offer, last year's club fair had presented one club Nell had been unable to join due to her age alone. This year though, that was all different. She slipped into the crowded club fair and made a beeline to the SDA booth, budging past an older boy who didn't look to be working at the booth. "Hello, I'd like to join your club, please!" One club at the fair last year had caught Blake's eye, and it was totally unfair that he hadn't been allowed to join. This year it would all be different though. He entered the club fair and was pleasantly surprised to see Tyler already at the SDA table, though he was a little less pleased to see Jasper there too. The grudge Jasper seemed to hold against him and Tyler was totally unfair in Blake's eyes, and he would have preferred to avoid his roommate. Blake set that aside though, elbowing Tyler slightly with a grin as he joined the other boy, partially talking over some girl. "Oi, sign me up too!" Jess had spent most of the last few years of her time at Hogwarts closed off from most people which meant she hadn't allowed herself much time for clubs other than Quidditch but she wanted to change that. Jess didn't want to fade away in her final two years, she wanted to get involved and make the most of it while she could. Jess walked out to the courtyard and was a little overwhelmed by the amount of people that were suddenly around her and the number of club leaders who were yelling about their clubs. Jess didn't know what to do, she scanned the courtyard and her eyes landed on a club, though perhaps for the wrong reasons. Jess was sure she had once been a member of Heta Omega, she and Leila both but it had been a long time since she had gone to a meeting so perhaps she had been stricken from the list but perhaps she could rejoin. Jess blushed deeply as she looked across the courtyard at who she assumed was the clubs new leader, October Alcott. Jess had long been an admirer of October's for her Quidditch, as well as other things. Perhaps this was her chance to finally get to know the Ravenclaw. Jess nervously made her way over to the booth and waited for the club leader to be free. "Uhm hi, I think I used to be a member but its been a long time, do you think I could rejoin?" Dani had been unsure about going to the Club Fair today. At first she wanted to go, but the sheer thought of there being so much people around was enough to make her second-guess her initial decision. Of course, she had eventually decided that it would be in her best interest to actually go and see if there were any clubs that were interesting enough to join in. Which led her to her current situation of standing in the outskirts of the courtyard. There were so many people. Some of which she knew, others she was familiar with in passing but a lot of people she didn't actually know. Hogwarts was a big school after all. Looking from her current position though, she wondered what club she should actually join. The Heta Omega seemed to be the only one that fit her though, there didn't seem to be any music clubs or muggle sports club. Deciding to leave her little corner, Daniella headed to the Heta Omega booth and gave an awkward wave towards the people seemingly heading the club. "Hi, I'd like to join please?" Adorah was glad that she was going to be apart of a group that would allow her to have easier access to friends (potentially with common interests... hopefully.) She signed her name on the Heta Omega sheet, took a cupcake, which she immediately broke in half and made into a cupcake sandwich) and looked around at all the other tables. She thought about writing for the newspaper, but she was worried that might make her load a little heavy this year. Maybe it's better to wait until next year. Adorah walked back towards Ravenclaw Tower, licking the icing off one of her fingers. Durmstrang. The very mention of the school by Graydon left Alistair with a look of apprehension. Despite never stepping foot into the academy, the werewolf was all too aware of what it was like, with its penchant for things of a darker nature. Particularly given how many of his siblings had attended, and how they'd turned out. They'd become completely different people, though how much of that was the school and how much of it was his parent's prejudiced influences, he couldn't say. At least in Graydon's case, he seemed happier to be away. Hogwarts was more inviting. Anywhere else was. 'Stair wiped the expression off of his face as quickly as it had come, knowing all too well what it was like to have people give him odd looks for one reason or another. It came with the territory. Graydon didn't seem like any of the other Durmstrang students Alistair had known, yet he couldn't help but to keep some reservations about the fact, not until he knew him for longer than two minutes, at least. It was better to be safe than sorry. One thing was for certain, and that was that Alistair did want to get to know this guy better. New faces were refreshing, and the whole Hufflepuff aspect was a bonus. It felt as if they were the only types of people he could find comfort in being around. With any luck, Graydon perhaps didn't have the time to take note of Alistair's reaction, as yet another student joined them asking to sign up. Graydon's title left him with a stupid grin on his face. "That's right. I'm the boss-man." Alistair reaffirmed, sliding the sign-up sheet on over toward the newcomer. "Second years and above are welcome. Will you be participating in this year's Duelling Tournament?" The Slytherin inquired, since it was typically one of the major reasons the inexperienced first years weren't quite allowed in their ranks. He shot a glance toward the older Hufflepuff, extending the question to just about everyone gathered and wondering exactly how much competition he might find himself against this year. Any doubt that the SDA booth would be lacking in attention was dashed with the arrival of two more young students looking to sign up, and Alistair was more than happy to have them on board. "Just put your name down here whenever the last person is done. There's plenty of space. I look forward to seeing you all at our first meeting." He stated with a gesture towards the sheet of parchment, as well as the handful of pens and quills he had on standby. There was more than enough to go around, and he was looking forward to seeing how many names filled the spaces by the end of the fair. October was glad so many girls were signing up, any worries she may have had about not being able to put together a booth as fancy as Evelyn's evaporating. She smiled at the girl who complimented the cards. "Thank you!" October said cheerfully, and waved to the girl as she went away. The next face approaching her booth was a surprise. October recognised Jessica from Quidditch, though she rarely had much attention to spare for the chasers, usually lost in her focus on the snitch while she played. "Of course you can." October smiled, handing Jessica one of the now almost full signup sheets. "We'd be happy to have you back. Just sign the sheet and help yourself to a cupcake and a card." She smiled warmly, turning the smile to another younger girl who approached. "Sure thing, just sign your name on this sheet and help yourself to a cupcake and a card." October smiled, handing the girl another sheet. Kauri took the sign up form back, smiling warmly at the boy. "I'm Kauri, welcome to the club! I'm the president of the Brotherhood, if you've got any questions or worries you can come to me any time." He said cheerfully, happy to help out a younger student. While Norton was talking to a blond girl and explaining what they grew, Rose looked around happily. The club fair seemed quite busy and active, and that was definitely good. She noticed a young girl approach and waved at her as she greeted them. "Hello!" Rose said brightly, guessing the girl was a first year. "That's wonderful! You can sing up right here." Rose said, handing the girl a signup form. 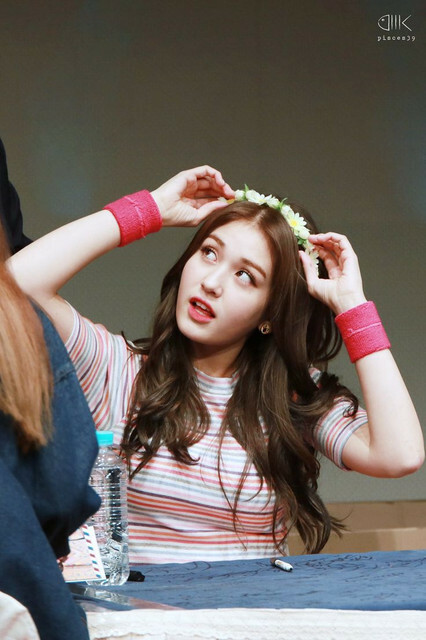 Rose grinned as the girl complimented the flower crowns. "They were made by different members of the club, I made a few, Norton here made a few." She said, smiling at her fellow leader. "Do you want one?" She asked the girl, wanting her to feel included and welcome in the group.